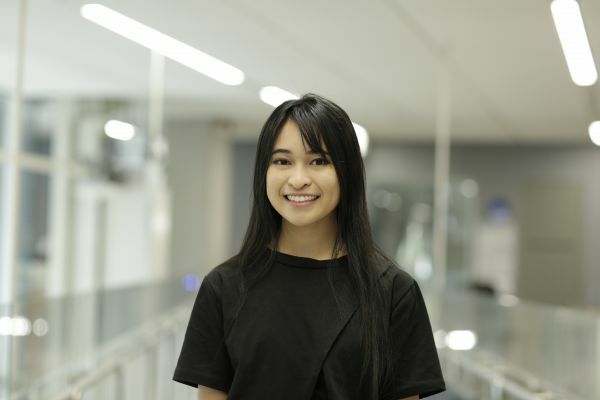 Leelee Chea came into the Bachelor of Design because she was always interested in creative endeavours in high school. We caught up with her to learn more about her experience so far. I decided to major in Architecture because it is a mix of art, technology, science and environmental awareness. Growing up, I’ve always had a love for the artistic things, but I also had an inclination for the built environment, which isn’t typically expressed as artistic – such as train stations and bridges. Architecture combines the two and hence my decision to pursue this degree. I chose the Bachelor of Design after exposure to the course through online searching and open days. I was primarily interested in the flexibility of the course, having the adaptability to do double majors, minors and specialisations as I have a tendency change my mind quite often. During secondary school, I completed Mathematical Methods, Biology, Psychology, English, Studio Arts and Visual Communication and Design. I have always been interested in creative subjects and careers throughout high school, but was open to the more objective subjects, hence the diversity of subjects I undertook during VCE. I found that this was very useful in gauging the decision of my course as it exposed me to different careers and course pathways. What breadth are you taking? I was initially interested in undertaking a breadth stream in Chinese, however, changed pathways to a minor in urban planning after I realised second language wasn’t my forte. Design matters because it can potentially improve society. It helps us to better communicate and understand one another. My favourite design subject so far has to be Foundations of Design Representations and Digital Design (FODR). The subject used an intuitive way of introducing me to the different architecture/design disciplines as well as the programs across the Bachelor’s Degree by dividing the assignments into four. The first assignment was an introduction to sketching orthogonal drawings by hand and the second assignment was to draw axonometric drawings digitally. The third assignment was an introduction to parametric designing and the fourth assignment revolved around rendering. The highlight of university so far is experiencing the diversity of clubs and societies. DESS – Design and Environments Student Society. Discovering niche clubs and making new friends has been a bonus throughout the degree, such as joining the Chocolate Lovers Society to eat free gelato and chocolate. Although time constraints often hinder me from engaging more with these clubs, they are a good way to relax and relieve stress. How have you been able to meet new people and make friends? The dynamic studio subjects have helped me bond with other students due to their hands-on nature compared with regular tutorials. Working collaboratively and helping each other out has been most beneficial to me during these studios as it is a new way of learning which is different from just regular lectures. It feels exciting exhibiting my work during my degree. It gives me the opportunity to experience real work experience as if I am presenting to a client. My dream project in my future career would be something that could be seen and utilised by everyone from all demographic backgrounds. However, my main interests revolves around transport infrastructure architecture, such as train stations and airports. I’ve always been interested in transport since a young age due to my fascination of moving around. I’ve realised the importance of aesthetics in these typologies because often traveling is exhausting. The most valuable skills I have learnt so far have been becoming more confident in presentations, defending my designs as well as accepting critique to further improve my work. Learning programs such as Adobe suite and Rhino 6 will give you a helpful kick start for the first few studios. The main challenge I’ve faced since coming to university is juggling my extra-curricular activities with university work. I’ve been able to deal with them by sticking to a strict schedule to better manage my time. What are you doing or planning to do when you have completed the BDes? I am planning to undertake a masters of architecture after the completion of BDes, or otherwise work in the design/architecture industry for a bit.